Unprofitable sectors not even digital signage can save. 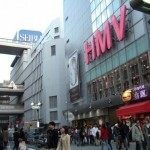 A recent Mintel report shows that 2010 was a really bad year for high street music retailers such as HMV who has just issued its third profit warning few days ago (BBC news). The challenge music and DVD shops don’t seem to overcome is the rising importance and benefits of e-commerce and the change in the product itself. Buying videos or music online implies that the offer is available anywhere and at anytime as long as there’s an Internet connection and delivery is as quick as the downloading speed; advantages that no brick-and-mortar store can match. These extra-facilities make consumers drift further and further away from the physical environment and what in-store advertising could strive to achieve is encourage the in-branch purchases but realistically that’s pretty much it; as far as the tendency towards the online music store is concerned not much can be done. This is the reality HMV has to face, leading to the closure of 60 of its stores in 2011 and a 13.6% fall in sales during a once profitable time of the year- Christmas. The good news is that the high street music retailers’ phenomenon is industry-specific and unlikely to spread into other sectors; such as clothing in which the online and offline environments’ convergence increases (see the tweet mirror, Locamoda’s app on in-branch screens and social shopping). The other ”endangered brick and mortar shop species” are the bookstores that they too face the threat of disappearance due to the advent of e-books (HMV already decided to sell its Waterstone book chain). Addressing the storage, availability (you can carry your ”library” with you) and delivery issues far better than hard paper books, e-readers like Amazon’s Kindle just make reading easier, becoming the prevalent option of the future. 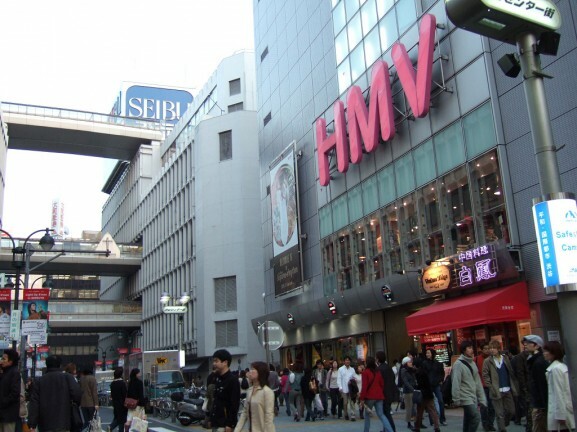 Yet, the fact that someone is willing to buy HMV’s bookstore chain sends an important message: while the two sectors become unprofitable (offline) their stores’ potential remains. That’s the encouraging bit for the digital signage industry. Stores do not lose their appeal and there will be many players interested in them for a quite a while. Flexibility will be a key- advantage for DS companies and not only as, according to Mintel, retailing is free market economics in action (with all the experimentation involved). This entry was posted in Digital Signage, News and tagged advertising, digital signage by Dynamax. Bookmark the permalink.